The reason I fell in love with scrumblr, is that it takes two seconds to get going with. You don’t need to register, sign up or log in. You just get started. To check it out, just click here. You create a new board by simply using a unique URL - like http://srumblr.ca/your_team_name_your_board_name. Now this tool may be lacking in functionality for more elaborate stuff, but it’s an excellent way to get you started. 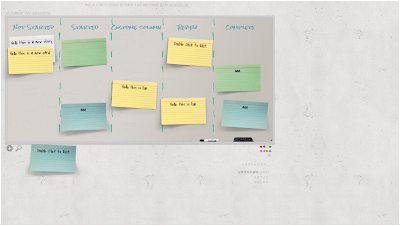 Lino is an amazing online tool that serves as a personal white board! It’s seriously cool, with endless options. First, I really appreciate the fact that by creating a personal board I can customize it to reflect my entire “world” of doings and interests. For example, I can arrange my career interests, customer related issues, personal tasks and my entire area of interest, and have them laid out right in front of me. Second, I can create several boards, each with a different scope of interests. For example, one board will be for managing my personal tasks, and another board for my customers. Being able to visualize the whole, while also scoping over a specific issue is a very powerful tool for getting things done. 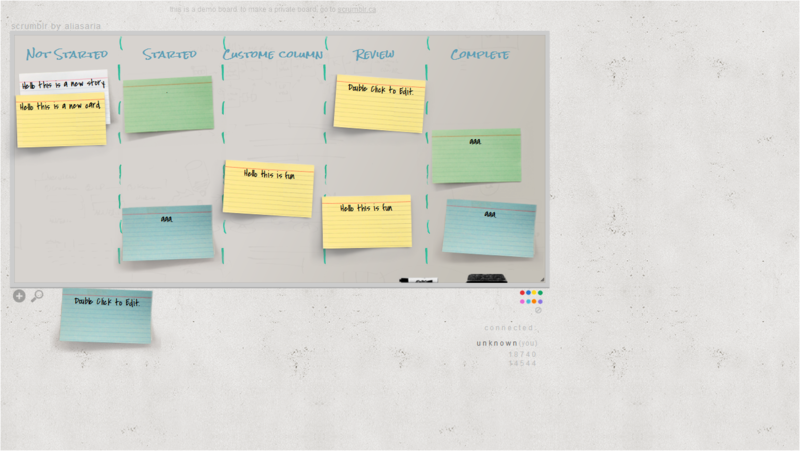 Third, I just love the digital sticky notes option. Lino is online, so I can, of course, access it from anywhere and design my own set of boards. It’s simple to use, colorful, has tons of options, video tutorials and a friendly introduction. Features include adding tasks or pictures, due dates, tasks icons, tasks priority, pinning tasks, and more! And of course, there’s a mobile app as well, for both iPhone AND Android users! Here’s another post, showing you how people use Lino as an amazing classroom tool. Love it! It really does look simple and easy to learn.